Dog training is the deliberate modification of dog’s behavior according to human needs and preferences. Dog training is carried out either to use dogs to undertake specific tasks or to adapt effectively to domestic life environment. The application of dog training techniques can be traced back to Roman times. Dogs learn from their interactions with the environment and the deliberate modification of environmental events can change dog’s behavior. Dog training makes use of two different forms of conditioning called the classical and operant conditioning. Classical conditioning uses habituation or sensitization to modify behavior whereas operant conditioning makes use of the association between an antecedent and its consequence. 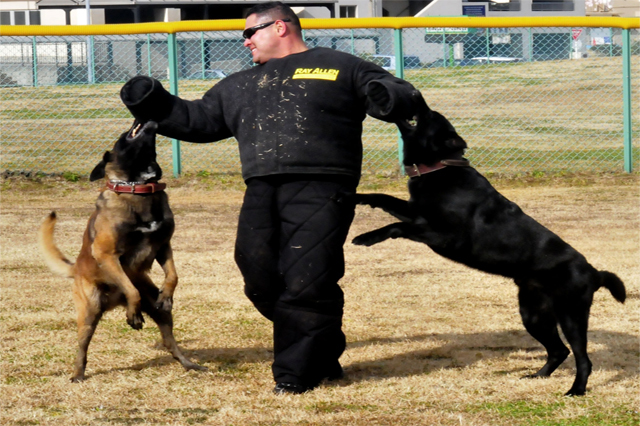 Dog training techniques and methods include the Koehler method, clicker training, dominance-based training, negative reinforcement and relationship-based training. The scope of Dog Trainer Professional Diploma is huge as dog training is now applied not only in domestic environment but also in specialized zones including hunting, dog sports, law enforcement, search and rescue, detection, assistance to disable individuals, working with livestock and protecting people or property. Dog Trainer Professional is an essential course for dog trainers, dog owners and pet lovers.